A Dominant Effort Keeps The Canadiens Season Alive - The Point Data-driven hockey storytelling that gets right to the point. With their season on the line last night, the Montreal Canadiens delivered a dominant performance against the best team in the league. 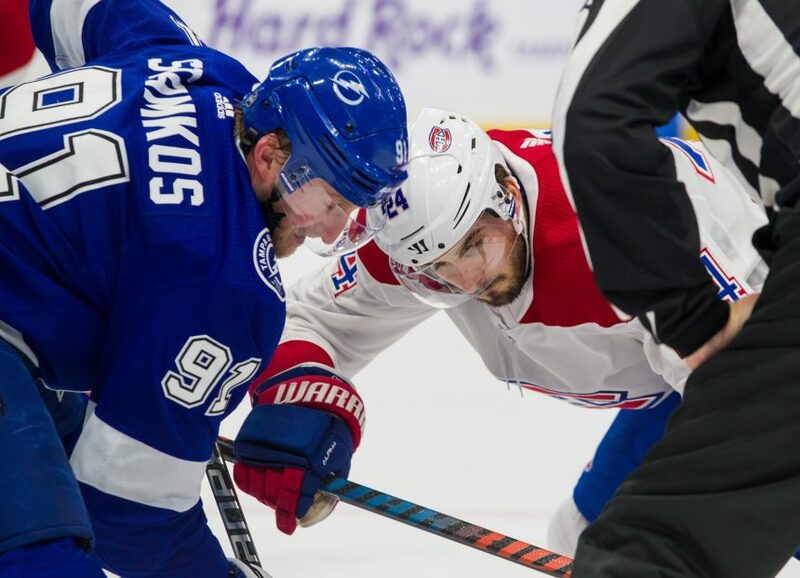 The Habs came in waves, overwhelming the Lightning with rush after rush. Typically a high-event offensive team, the Lightning were utterly outmatched last night. Montreal outshot them 45-24 and out-chanced them 41-22. 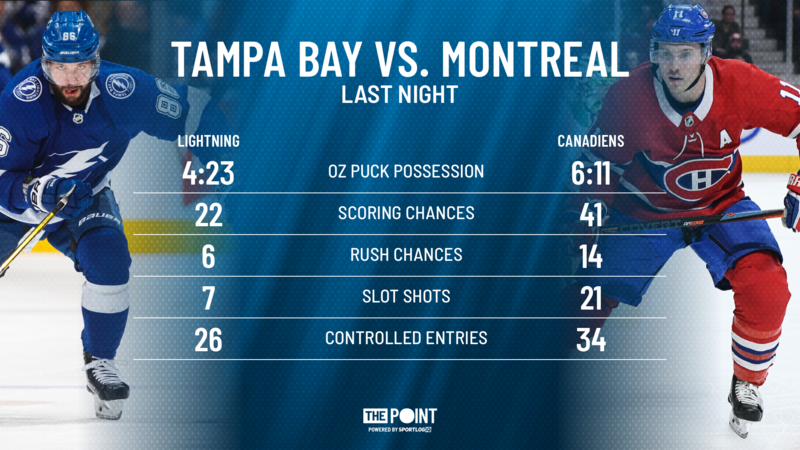 Offensively, the Habs were able to create off the rush, using their speed to put Tampa’s defense on their heels. They controlled the puck and attacked the slot as often as possible. The Canadiens were able to keep the puck away from Tampa’s dangerous forwards by dominating on draws. They won 61% of their face-offs but most importantly was that they won 73% of their defensive zone face-offs. Defensively, the Canadiens were able to frustrate Nikita Kucherov, limiting him to only one scoring chance and one shot on net. Carey Price made some timely saves and the team was able to bounce back after a tough bounce off Max Domi on Tampa’s first goal. To make the playoffs, Montreal needs Carolina and/or Columbus to slip up and lose one of their last two but it won’t matter if the Habs don’t pick up wins in their last two games. With games against Washington and Toronto to close out, Montreal needs two more performances like this otherwise it’ll be time to dust off the golf clubs.